At the Frankfurt Motor Show in September 1973, Porsche unveiled a special 911 concept car that changed the course of sports car history. With RSR fender flares, a large rear wing and the word “Turbo” emblazoned over the rear haunches, the new Porsche offered an exciting new glimpse at the future of the 911 series. A month later, Porsche announced that they would cease factory-backed racing activities for 1974, allowing private entrants to represent the marque with the Group 4 RSR. 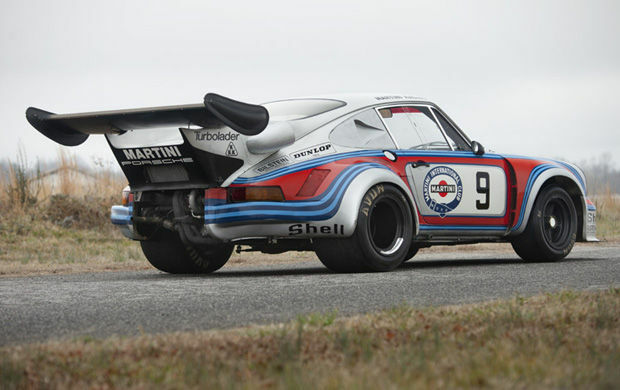 However, in cooperation with Martini & Rossi, Porsche entered a turbocharged Carrera in the Group 5 category for the Manufacturer’s Championship, just as had been done with the prototype RSR 3.0 models of 1973. At the time of the announcement, Porsche had little more than a concept for a turbocharged racing Carrera, yet the idea was appealing for several reasons. Not only would a Turbo Carrera expand on the technical expertise gained during the final years of the 917 program, it would set the stage for the production Porsche Turbo that was being developed for the 1975 model year. Furthermore, the promise of a “silhouette formula” in the near future made a Group 5 Turbo Carrera an ideal platform for experimentation. 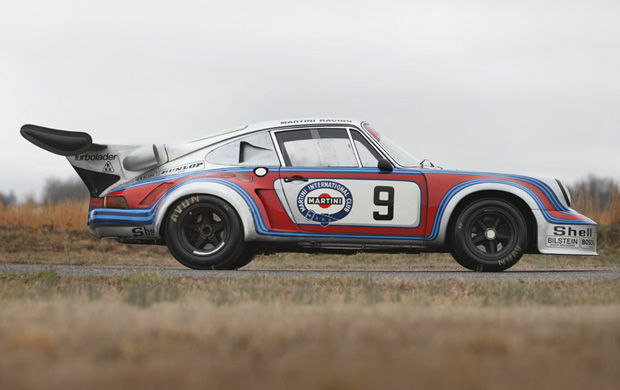 Over the winter of 1973–1974, Porsche began work on their latest racing 911 using a standard RSR as the foundation. 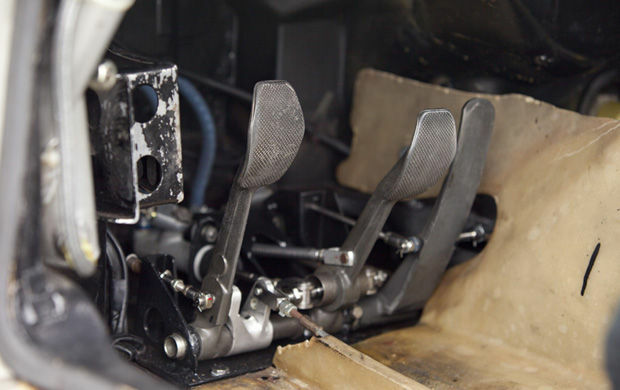 To comply with the Group 5 regulations that limited capacity to three litres, a 2.14-liter engine was developed with a magnesium alloy crankcase, polished-titanium connecting rods, enlarged oil-pumps, dual ignition, Bosch mechanical injection and sodium-cooled valves. At the rear of the engine, a single KKK turbocharger was mounted in the manner of the 917 Can-Am cars. This potent engine was mated to the five-speed RSR transaxle with an 80% locking differential and special half-shafts for increased strength. Like the engine, the chassis was a vast departure from the production 911 and Porsche implemented the best RSR and 917 components. The standard torsion bar suspension was replaced with progressive-rate titanium coil springs, Bilstein shock absorbers, anti-roll bars and boxed-aluminum trailing arms. The result was a suspension assembly 66 lbs. lighter than those of the RSR 3.0. To this sturdy foundation, Porsche equipped the Turbo Carrera with RSR-type brakes and massive rear wheels for additional grip. Again, using the RSR as the basic foundation, the bodywork made extensive use of fiberglass, with lightweight plastic forming the front fenders, rear aprons and all door and deck lids. 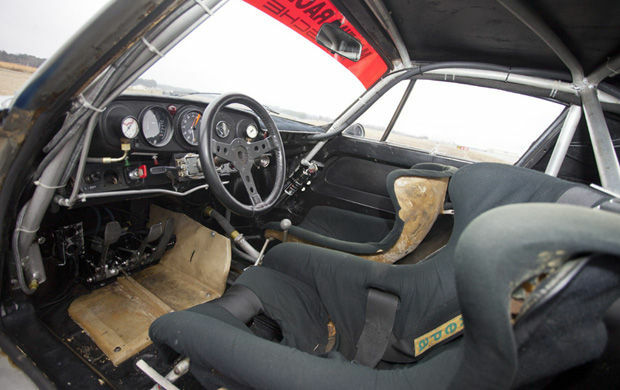 Similarly, the interior was stripped of all unnecessary details and outfitted with an aluminum roll cage, boost gauge, boost knob and full-race controls. At the rear, a substantial rear wing was fashioned to both increase downforce and provide a more discreet inlet for the intercooler. In an attempt to maintain a visual relationship with the production 911 , the large rear wing was painted black to downplay its size. After extensive testing, the RSR Turbo 2.14 made its competition debut at the Monza 1000 Kilometers finishing 5th overall and proved extremely successful at the 1974 24 Hours of Le Mans finishing 2nd overall behind a Matra sports prototype. 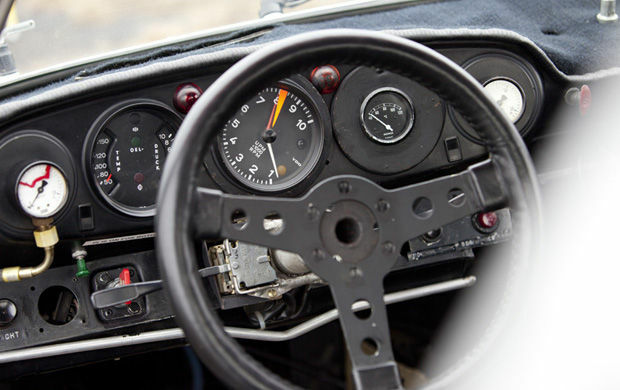 Throughout the 1974 season, the Turbo Carrera continued to be tested and improved, eventually leading to the introduction of the 935 in 1976. Presented here is the second of the four Carrera RSR Turbo 2.14s purpose built for the 1974 Group 5 Championship. Constructed at the development center in Weissach during the Winter months of 1973–1974, chassis 911 460 9016 was given the internal designation R9. According to letters from the Porsche factory, R9 was “handmade in long duration” and used for testing and development in January 1974 at the Paul Ricard Circuit in the South of France. Following substantial revisions at Weissach, R9 and another RSR Carrera Turbo premiered as factory entries at the Le Mans trials beginning on March 23, 1974. Finished in the classic Martini & Rossi livery – silver metallic striped in red and blue – R9 wore race number 1 and was driven by works drivers Gijs van Lennep and Herbert Müller. 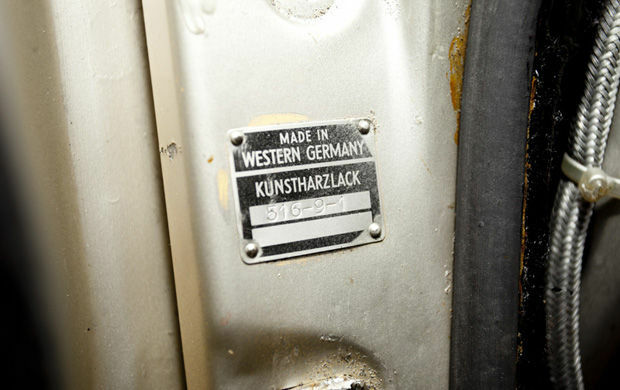 The “Chassis plate” is the paint code tag [ 516-9-1 left inside on the A pillar ]. This RSR was built by the factory wearing Saraha Biege.